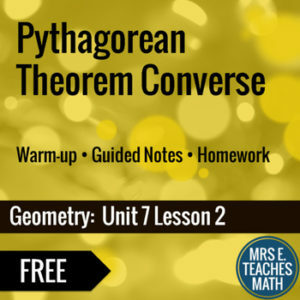 In this lesson, students will use the converse of the Pythagorean Theorem to classify triangles by sides. A brief review of the Triangle Inequality is also included. An example is included using coordinate geometry.